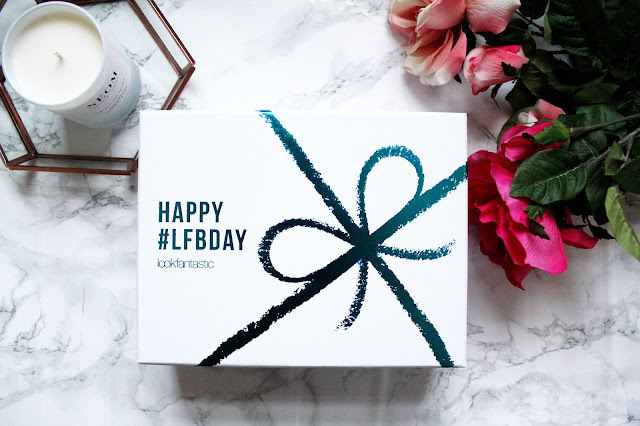 I’ve nearly been a subscriber to the Look Fantastic beauty boxes for 2 WHOLE YEARS. In fact this months box is their 2nd Birthday edition and doesn’t it look amazing? 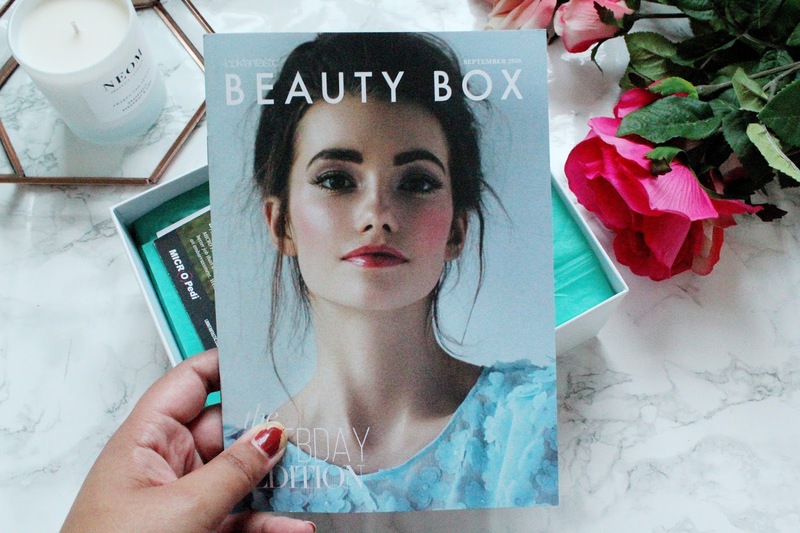 Look Fantastic beauty boxes are one of the best beauty boxes you can get and it’s an absolute bargain from just £11.25 per month (and free delivery obvs!) 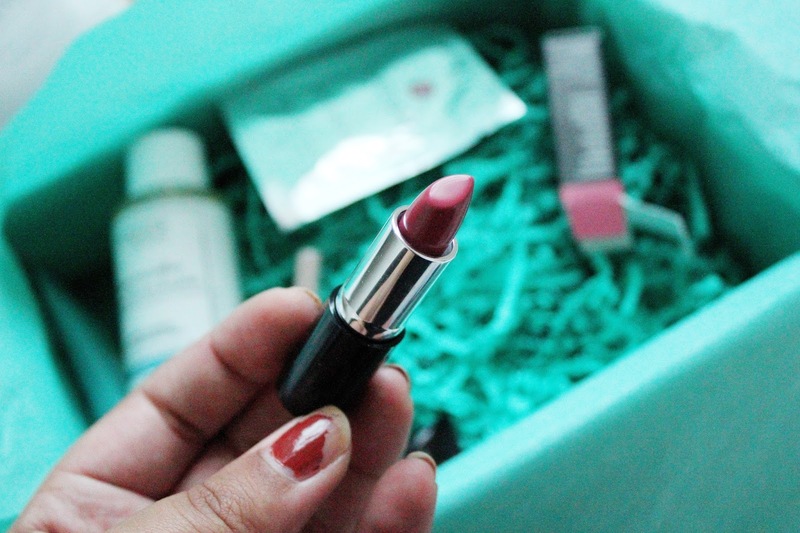 each month they surprise me with their exciting beauty box themes and how varied the products are inside. This months box includes Argan, Bare Minerals, Lord and Berry, Bliss, Christophe Robin and Gatineau. I’ve tried a few products from Bliss in the past and they smell absolutely AMAZING. If you've not heard about Bliss before they're a skin care and spa products brand and I always use their products when I really fancy a bit of a pamper session. This product from Bliss is an Elle Beauty Award Winner and it leaves your skin feeling hydrated, supple and healthy. The sodium hyaluronate helps to normalise the skin moisture content and help it retain water. This cream also includes coconut oil (which is literally the dream ingredient). 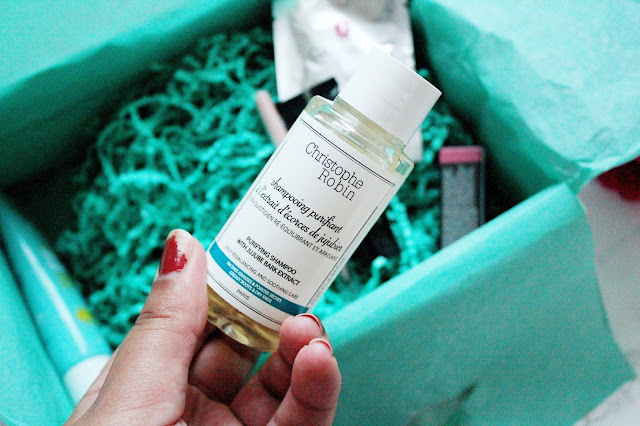 One thing I love about my beauty box subscription addiction is the amount of product minis you receive (yes I love product minis!). Can you ever have enough mini shampoos in your life?! This shampoo is free from chemicals including parabens, silicones and SLS and this shampoo helps to gently cleanse your hair without irritating your skin or scalp which is a total winner for me. Bare Minerals is one of my favourite brands at the moment. 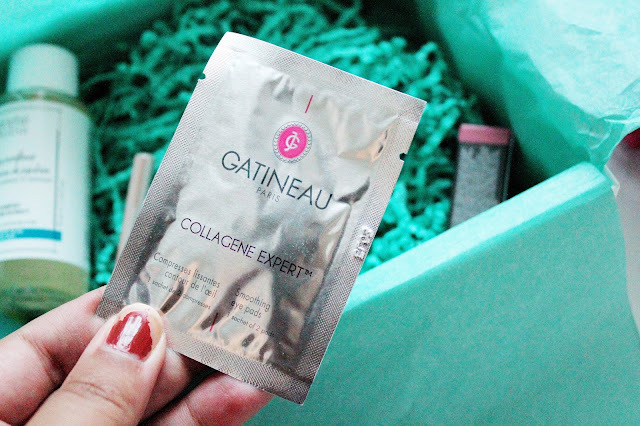 Their products are absolutely incredibly (and the packaging is insane too!) 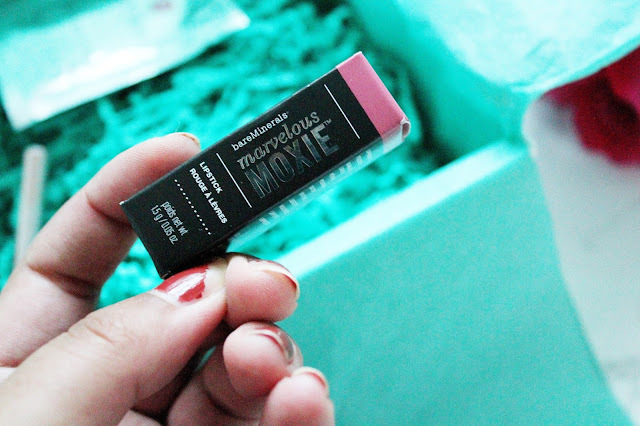 This mini lipstick is the perfect edition to your everyday handbag and this is a gorgeous rosy pink shade. What’s great about this shade is it’s a super neutral and is such an easy to wear everyday colour. Excuse my nails in this photo! I forgot to paint them when they started to become chipped. However this pencil from Lord and Berry is amazing! 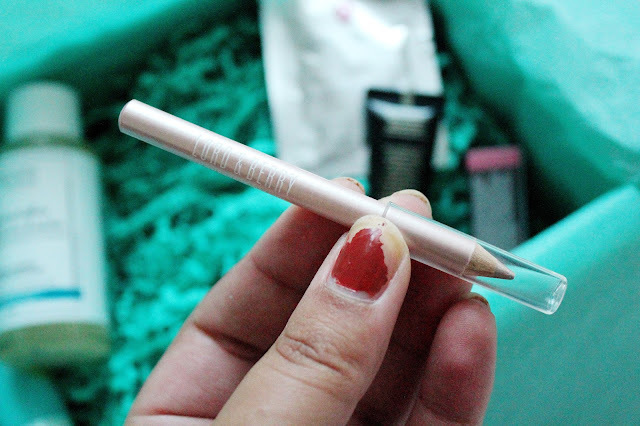 It’s creamy and lightweight in texture and I love using this to highlight my inner corners of my eyes. 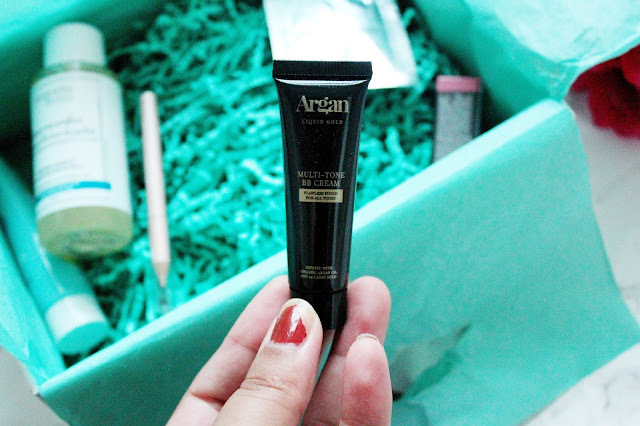 Argan Liquid Gold is a brand I have never tried before but this multi-tone BB cream is designed to match your skin tone to create a flawless and even colour coverage. This cream is also infused with Organic Argan Oil and 24 Carat Gold to nourish your skin and add hydration. When I’m feeling stressed (or when I’ve had a super long day) I love using eye pads. These eye pads are designed to hydrate the skin and they are infused with Collagen (which helps to smooth out fine lines and wrinkles). This is the sort of treatment which is perfect for tired eyes. Overall, I am really impressed with this months box. 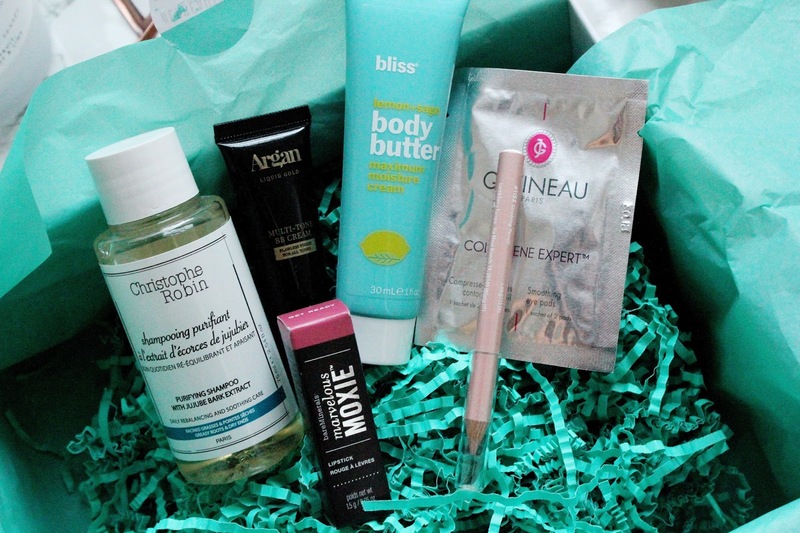 My favourite products are the Bliss body butter and Gatineau eye pads. I think they're both great value products which are worth picking up. 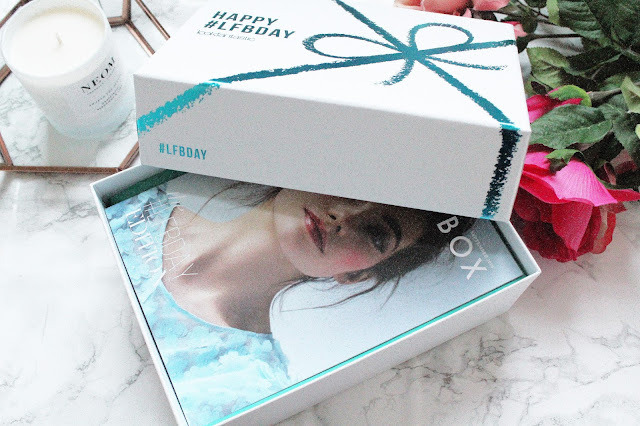 Despite being a 'Birthday' edition, nothing overly wowed me about this box like I had expected. 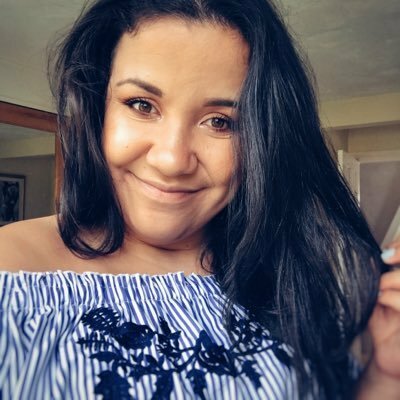 I think the product choice is great though and these products I'm going to probably all use up in the next few months as there is not a product that I didn't like. You can sign up to the Look Fantastic Beauty Box from just £11.25 (plus free postage) here. I've been considering ordering some kind of beauty box for a while to try new things. Theres so much choice these days it nice to have the decision made for you! The box looks beautiful!